Camera technology is like the human eye in that it can only see objects or scenes by taking in and processing the light that is present. Just as we struggle to see clearly when the light in a room are turned off, many video cameras must cope with low light environments. Having a covert camera on a targeted crime scene area does not always provide the kind of insight we want unless the camera is deployed in the most effective way possible. Most video cameras are not designed to shoot video in low light. IP cameras in particular have developed a reputation for poor performance in low light. The unfortunate thing for law enforcement is that low light conditions exist with nearly all covert video surveillance deployments. It is imperative that the officers using the equipment understand how the cameras work. 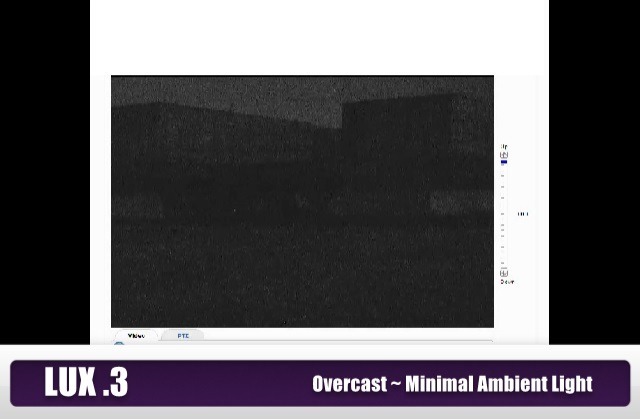 With most low light video surveillance you end up with conditions that increase “digital noise”, “grain”, and low contrasted images, which often make the video ineffective or not usable. When it comes to law enforcement video surveillance low light becomes a major monster that can be beat, but not without some knowledge and understand of the capabilities and limitations. 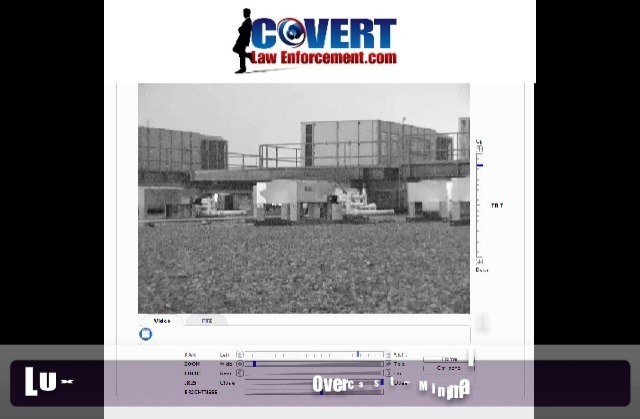 It is common for law enforcement officers to believe that an infrared light source/camera or a thermal camera will resolve many of the problems that they face when it comes to low light covert video surveillance situations. This could not be further from the truth. Infrared light is a misleading term, and is often used incorrectly. 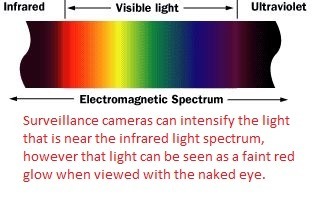 It is not infrared light that is used by cameras, it is actually a near-field infrared light, which means that it is on the border of the visible light spectrum. For some people, near-field infrared light is not visible, however, the vast majority are able to see the near-field infrared light. There are ways of incorporating this type of light into a covert video surveillance system. However, the likelihood of identifying an outdoor covert video surveillance camera is greatly increased if you have a visible red light coming from it, especially if you have the amount of light on it that would be required for it to be effective from any substantial distance. Thermal cameras can be very effective with law enforcement investigations. However, they are limited to identifying warm bodies and heat sources. It is not an effective way to gather other intelligence on a criminal target such as license plates, facial features, and objects used. The cost of a reliable thermal camera are 5 to 20 times more expensive, which generally take them outside of most law enforcement budgets, especially when they are so limited on much of the Intel that is needed on drug, theft, graffiti, and child protection investigations. In some situations officers must realize that there may not be a perfect solution to the low light, instead of trying to correct the low light; they must find other means to conduct the investigation effectively. 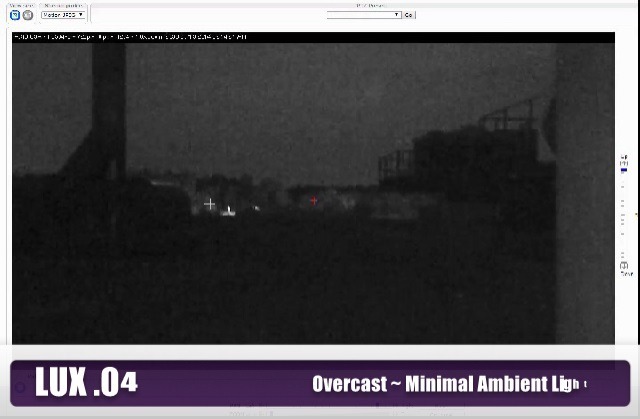 Covert video surveillance must be designed to address some of the issues that low light can cause. Outlined below are some of the things that can be done to greatly improve the results from the camera, or increase the likelihood of a successful investigation when you are dealing with an area that has very little light available. 1. Plan for the best video placement possible. When reviewing a location for covert video surveillance deployment agents should consider doing the recon at night, especially if their investigation focuses primarily on the night movements. Take into account not just the target location, but the relationship of the lighting that is associated with the camera. It is important to have deployment options available that will allow for the camera to get as close as possible, so as to increase the amount of light that reaches the camera. In really low light situations it will greatly increase the possibility of success if the camera system can be relatively close to the target location. This is why the concealment must be well thought out, with easy, quick deployment options. 2. Increase the light if possible. With an undercover operation this is not always the easiest task to accomplish, and after a full review of the options this may be the last one you choose, but it is worth a close examination to increase the video quality. Obviously a light that is attached to covert camera is going to draw attention, no matter the wave frequency. However, a brief review of the lighting situation could provide drastic results. It may only require a quick phone call to a contact in the light department to get a broken street light replaced, or a new, brighter, bulb put in. Friendly neighbors may be willing to install another yard light. In some cases a reflective surface could be moved and angled to provide a dark area with increased visibility. Street departments sometimes conduct work at night, or have to increase lighting at night while addressing an issue associated with the road or utilities. Building these relationships opens up a lot of options that may not be otherwise available. 3. Incorporate other technology in order to acquire the needed information. Covert video surveillance systems can be used to perform tasks other than simply recording and relaying images. External alarms can be used in some investigations that will alert case agents of external triggers. Unfortunately, versatile covert video surveillances systems have a difficult time using some camera features, such as motion detection. 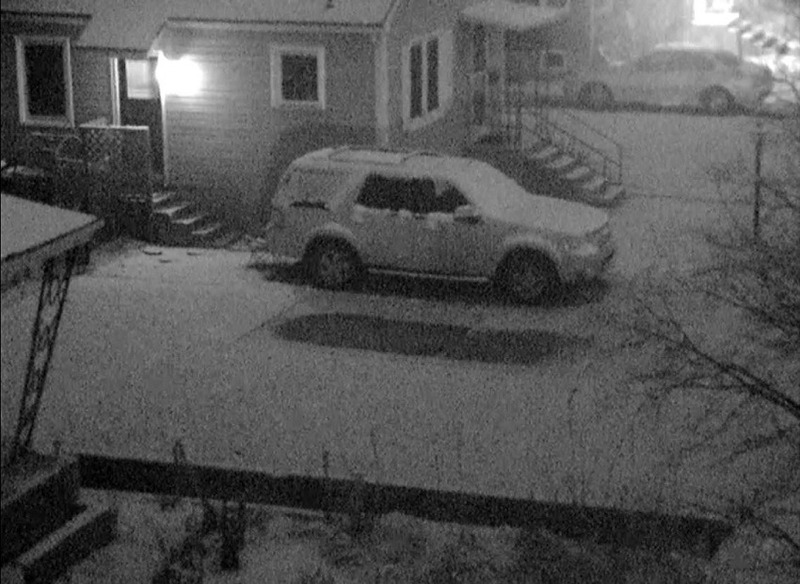 This is because the low light conditions can generate “noise” on the image, which in turn triggers is perceived by the camera as motion, and then it trips an alarm. In most outdoor video surveillance deployments, motion detection from the cameras cannot be used because the case agents become so inundated with false alarms caused by the “noise” that they suffer the cry-wolf-syndrome. One way to overcome the onslaught of false alarms is through the use of an external alarm, which can be set to only alarm the case agent in the event that the suspects were there. For example, look at the typical metal theft case. A business may be getting robbed on a regular basis for the metal contained within their storage yard. With the right surveillance equipment, a case agent could set a physical trip wire alarm to the camera equipment. When the physical alarm is tripped, the surveillance equipment would be capable of using this external alarm to send out a text message to Dispatch and the case agent, which would elicit a response from patrol to the area, so that they can catch a criminal in the act. 4. Manually adjust the camera control settings of the video camera. We live in a world that is filled with technology that is capable of automatically doing just about anything that you want it to. This ideology is an easy trap to get stuck in. Today’s cameras do some amazing things, but some situations will require that you manually adjust and monitor the camera settings manually. Uncontrolled environments, such as those that we deal with in covert law enforcement operations, require that we continually monitor and adjust the settings if we need supreme video quality in low light situations. Because the light is changing throughout the night we cannot simply adjust the camera to ideal lighting and let it go all night. Unfortunately we may have to take the extra time and energy to check in on the camera and adjust for the changing conditions. 5. Reduce the frame rate that the camera uses. This is also known as using a “digital slow shutter (dss)”. Most of the time we think of having the highest frame rate possible when it comes to law enforcement investigations and the collection of evidence. However when a camera frame rate is reduced from 30 frames per second to 15 frames per second this means that each of the images are exposed for longer, and more light is allowed into the camera for better viewing and image quality without increasing the grain. In a low light situation it can make since to reduce the frame rate. In some cases it may be worth a reduction of the frame rate to less than 5 frames per second. It works very well in improving low light performance but has some side effects including image noise and potential to blur moving object. 6. Increase the gain of the camera. This should be a last resort, as the big down side to this is that the increase of gain will also increase the “noise” in the video, and can distort the image quality. “noise” is the little flakes that dance around in the screen, and bring back memories of the black and white “snow storms” that TVs’ use to have prior to the digital revolution.